Take a look at our client portfolio! 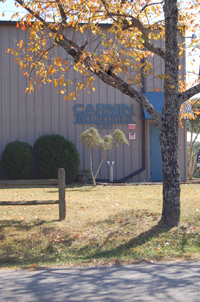 Carmin Industries specializes in design, fabrication, welding, and installation of precision tooling and fixturing for a variety of industries. We manufacture high tolerance tooling, fixtures and components for the the aerospce, architectrual, automotive, defense, and theme park industries. Wether it's a prototype or production run, we can handle your project! We have been a proud woman owned business for 23 years! Honoring One of Jazz's Great's!